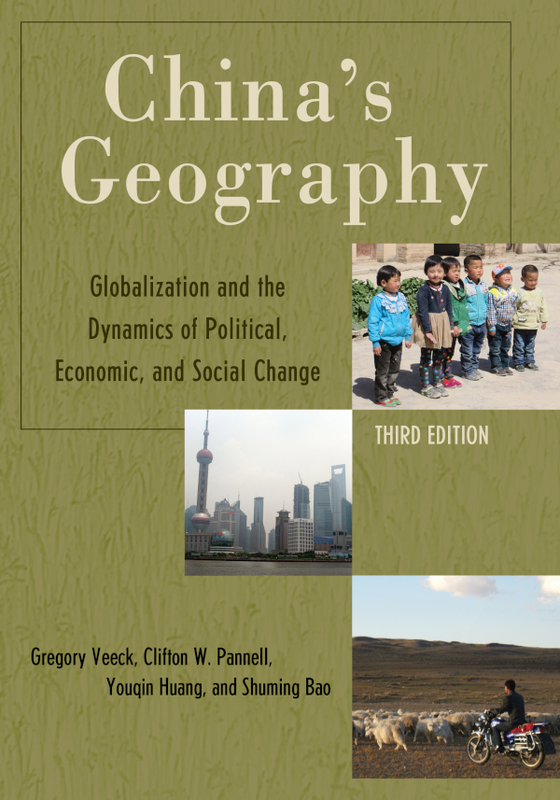 Welcome to the Companion Website for China's Geography: Globalization and the Dynamics of Political, Economic, and Social Change, Third Edition by Gregory Veeck; Clifton W. Pannell; Youqin Huang and Shuming Bao. China's Geography traces the changes occurring in this powerful and ancient nation across both time and space. Beginning with China's diverse landscapes and environments, and continuing through its formative history and tumultuous recent past, the authors present contemporary China as a product of both internal and external forces of past and present. They consider past and present successes and difficulties, including environmental challenges, while placing China in its international context as a massive, still-developing nation that must meet the needs of its 1.4 billion citizens while becoming a major regional and global player. This open-access Companion Website includes full-color versions of all the maps, figures, and photographs in the book, along with a number of additional maps and data sets that can be used for class exercises or as the basis for student research papers and presentations.